All cabinets are custom crafted, using 3/4 plywood for maximum stability and endurance, by Northwest Woodworkers, in Kent, Washington. Overall Length 250mm. Maximum a 50 kg. A sturdy design for use in the most demanding conditions, where strength coupled with an airtight seal is desirable. Size 119 x 221mm. An adaptable handle which can be used in a variety of situations. Size 48 x 105mm. 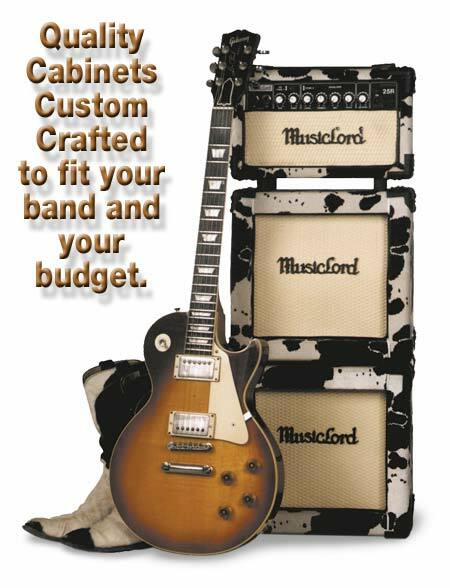 with your choice of Celestion, EV, Gauss, JBL, McCauley, or Sammi. A wide selection of vinyl and non-vinyl coverings to enhance your look. Designed to allow maximum protection to an inserted jack plug. Depth 30mm. Optional, for easy movement of the larger cabinet stacks.